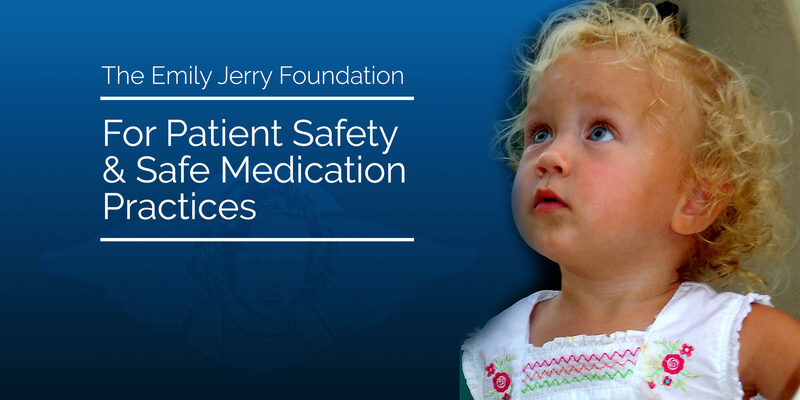 I think everyone would understand when I say that, from time to time, I occasionally have doubts and sometimes question whether or not my very unconventional career path and the Emily Jerry Foundation are really making a difference in patient and medication safety overall. Whenever I am having these moments of doubt, it seems that I always get a very kind and gentle reminder from someone, like the one I received yesterday from Kaitlyn, reminding me that it really is making a difference and I must persevere…for that I am so grateful and feel extremely blessed. “Congrats on your foundation anniversary, though I am sorry there is a reason for your foundation. I was a pharmacy student in Ohio when Emily’s medication error occurred. From the moment I first heard her story, it’s had an impact on my life. I’ve heard your story several times, the most recently at ASHP and it never fails to bring tears to my eyes, especially now that I have two little girls of my own. THANK YOU for taking up this fight and your dedication to this important cause. As part of my job I work with compounding policy and procedures and I think of your family often. You are truly making a difference in the world, and I hope that with continued effort a system can be shaped and maintained where there don’t have to be stories like Emily’s.” ~Kaitlyn B. ← Pharmacy Technicians University Now Available for Individuals!